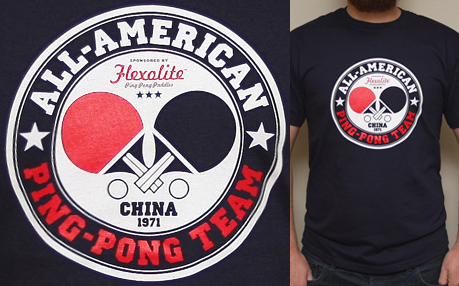 Due to popular demand we have released our KNEEL before Zod design on T-shirts for a limited time. 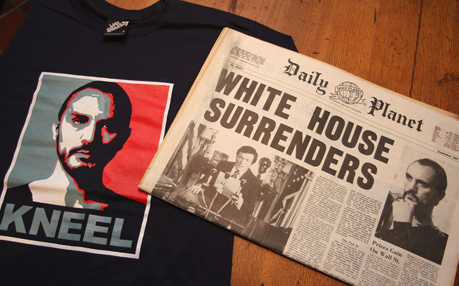 Inspired by the film Superman II and a homage to Terence Stamp and the Obama poster by Shepard Fairey. Prop newspaper not included. 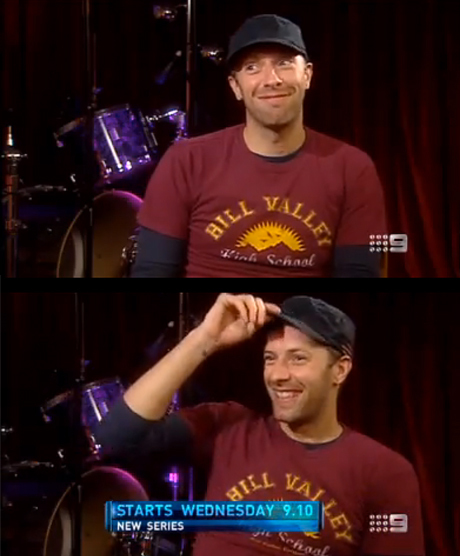 Coldplay’s Chris Martin wearing a Last Exit to Nowhere T-shirt on Australian TV recently. 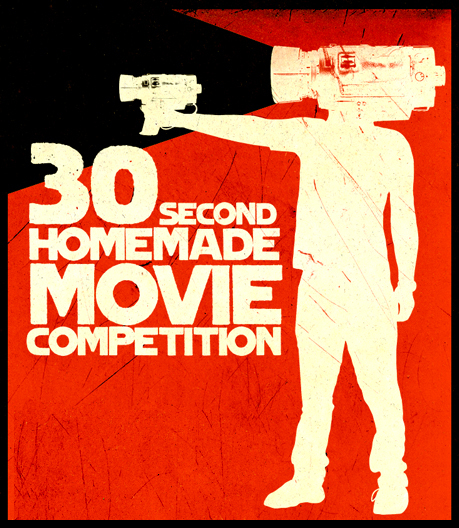 Only a couple of weeks remain to get your 30 Second Homemade Movie links to us. Send us your youtube or vimeo link to: info@lastexittonowhere.com for a chance to WIN 10 Last Exit to Nowhere T-shirts from the range. 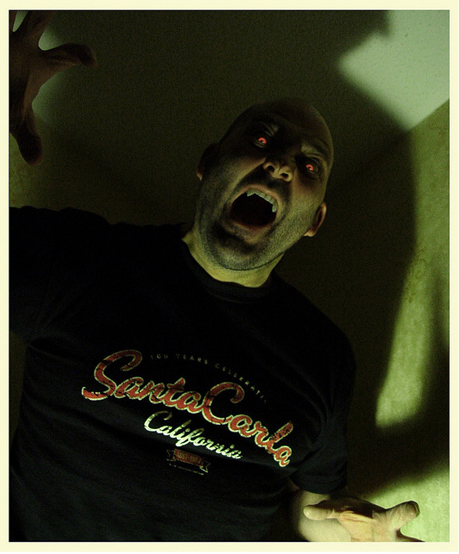 All entries must feature a Last Exit to Nowhere T-shirt (or reference) and can be filmed on anything from a phone to a cine camera, as long as the final thing is uploaded to youtube or vimeo. Competition ends 5th December 2010. Give me the blood, Lord, and let me get away! 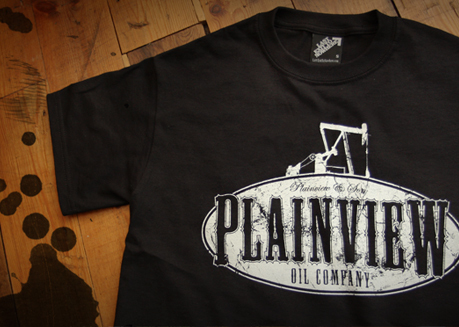 A brand new design inspired by the fictional oil company in Paul Thomas Anderson’s oscar winning film There Will Be Blood.